A new model of radicalisation has appeared in Western countries since the 2010s. Radical groups are smaller, less hierarchical and are mainly composed of young, homegrown individuals. The aim of this review is to decipher the profiles of the European adolescents and young adults who have embraced the cause of radical Islamism and to define the role of psychiatry in dealing with this issue. We performed a systematic search in several databases from January 2010 to July 2017 and reviewed the relevant studies that included European adolescents and/or young adults and presented empirical data. In total, 22 qualitative and quantitative studies were reviewed from various fields and using different methodologies. Psychotic disorders are rare among radicalised youths. However, they show numerous risk factors common with adolescent psychopathologies. We develop a comprehensive three-level model to explain the phenomenon of radicalisation among young Europeans: (1) individual risk factors include psychological vulnerabilities such as early experiences of abandonment, perceived injustice and personal uncertainty; (2) micro-environmental risk factors include family dysfunction and friendships with radicalised individuals; (3) societal risk factors include geopolitical events and societal changes such as Durkheim’s concept of anomie. Some systemic factors are also implicated as there is a specific encounter between recruiters and the individual. The former use sectarian techniques to isolate and dehumanise the latter and to offer him a new societal model. There are many similarities between psychopathological manifestations of adolescence and mechanisms at stake during the radicalisation process. 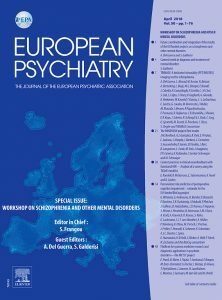 As a consequence, and despite the rarity of psychotic disorders, mental health professionals have a role to play in the treatment and understanding of radical engagement among European youth. Studies with empirical data are limited, and more research should be promoted (in particular in females and in non-Muslim communities) to better understand the phenomenon and to propose recommendations for prevention and treatment.